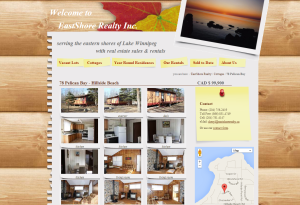 As embedding Google Maps becomes more and more difficult, with all the ‘improvements’ Google has been making our customer Eastshore Realty in Manitoba asked us for support. We had create their Website in Typo3 several years ago and added the option to embed HTML code for Google maps for each listing. As Cheryl the owner told me she just couldn’t figure out how to get the correct HTML code for embedding in their listings – I tried it myself and gave up too – we decided to expand our existing Google Maps plugin so that you can add it as a module to existing Typo3 extensions.